EdSource is conducting a series of interviews featuring educators’ experiences with the Common Core State Standards. For more information about the Common Core, check out our guide. 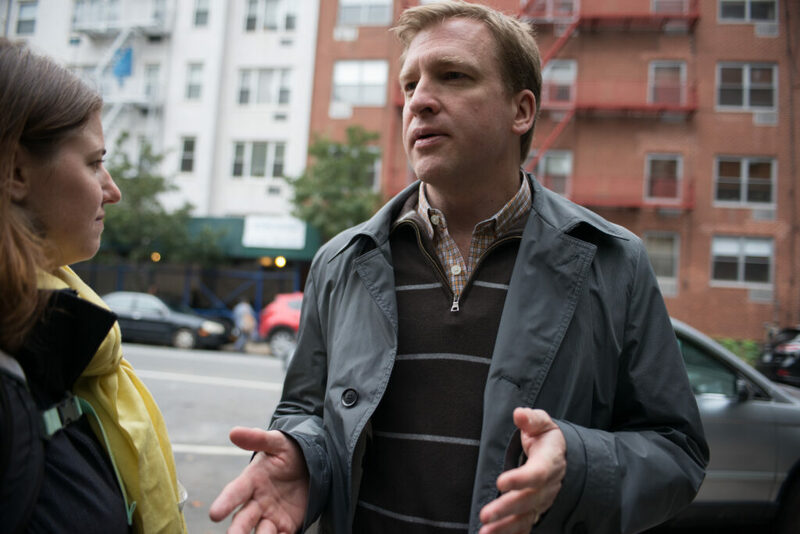 Jason Zimba, 45, a leading author of the Common Core State Standards in mathematics, grew up in suburban Detroit as the son of a waitress and a cook in a truck-stop diner, and was the first member of his family to attend college. He has a bachelor’s degree, with a double major in mathematics and astrophysics, from Williams College in Massachusetts, a master’s degree in mathematics from Oxford University, and a PhD in mathematical physics from the University of California at Berkeley. Zimba has taught physics at Bennington College in Vermont and math to high-school students in Oakland, through the Upward Bound program, and to inmates at San Quentin State Prison in Marin County. He currently works full time to support the Common Core through the nonprofit Student Achievement Partners in New York City. He answered EdSource’s questions about the Common Core in interviews by telephone and email. Both the questions and answers have been edited for brevity and clarity. You’ve been working on these new standards for nearly a decade. What makes you personally so motivated about education reform? I’ve always understood the importance of education, ever since I was young. My parents weren’t educated people, but in addition to being extremely hard workers, they were smart, curious and intellectually alive. They instilled in all of us tremendous respect for education – not only as something important to have as a benefit of a more prosperous life, but as something essential to have for the sake of one’s interior life. What do you think is the most significant change in the Common Core mathematics standards? This is the first time we’ve had a set of standards in math that focuses our efforts strongly on the math that matters most. Of course the Common Core isn’t a curriculum. Publishers actually have to do the streamlining that the standards call for. Under the new standards, things are being done at the proper time, instead of everything being done at once, which was the previous model. The elementary grades are reserved for mastery of arithmetic. Topics that used to distract from that in the early grades now come later, in middle school, where they can be handled at the appropriate level of sophistication. One of the most pressing problems in education, in California and throughout America, is the achievement gap between affluent white and Asian students and Latinos, African-Americans, and children from low-income families. What is the hope that the Common Core State Standards will help narrow this divide? When I heard that, I thought, “You know what? It is important that we write down what’s necessary in order for students to be on the path to college, so they can be in front of everyone. The standards didn’t create the reality about what’s required to be college- and career-ready. They describe it. And I think it’s a very good thing for equity, that that description be public and shared. The standards are a map. They don’t blaze the trail for you. But if we don’t have the map, then we can’t really expect to get there. We’ve been hearing concerns that the new standards risk actually widening the achievement gap. This is partly based on the initial scores in New York from the new Common Core-based tests. Tests produce information, but they don’t produce facts on the ground. Those things predate the tests. We haven’t had standards that accurately reflect the demands of college- and career-readiness, so I think we are going to see a bracing set of facts that were always there, but were never shown to us before. How do you think the Common Core state standards are going to help students who aren’t college-bound, and maybe wouldn’t benefit from going to college? The standards don’t assume that everybody is going to go to a four-year college. But most people today and in the future are going to need some kind of post-secondary education. And the standards aim to keep that option viable for everyone for a reasonable span of time. There’s an appropriate time for young people and their parents to make consequential life decisions, such as whether to go for some kind of post-secondary education or not, and the school system shouldn’t be making those decisions on behalf of kids and families while the kids are still in elementary school. And I’m not one of those people who pretends, you know, against the evidence of your own senses, that advanced math pops up all the time in everyday life; but it’s true that, to be skilled at modern jobs, you can’t be afraid of symbols. You can’t just shut down the way my mom said she did, for example, as soon as she saw an “x” in a problem. You know, there are a lot of debates in society, or in policy, or within business, where people throw around competing visions of, say, what’s going to happen if we do “x”? The best decisions tend to come from people who can not only identify factors in a situation, but be quantitative in talking about them. Like, these are the forces here. But one force is actually orders of magnitude larger than the other one. It’s when we can quantify that that we become much more powerful analysts, and it’s a sophisticated word, but necessary even in those humble household situations. I would also say to remember that people who don’t go on to college do go on to have an interior life. Job titles come and job titles go, but math has been essential to education since classical times, and there’s a reason for that. I think it has something to do with the way math helps us learn to love truth, seek precision, prove one’s case. I don’t see that college students are the only people who benefit from that, and I don’t think my own parents would have stood for reserving those things to the college-educated. Are there ways that Common Core standards actually make math more relevant immediately to the kids’ lives? Are there particular standards that will show kids how math affects their everyday existence? It’s motivating for kids to see good, applied problems. However, education is not the art of minimizing student complaints. Research shows the U.S. already spends more time than other countries in math class, making the math, quote-unquote, “relevant.” I think kids can see through that sometimes. They know when it’s just a sugar-coating for the pill, and that’s not motivating. And sometimes larding application on top of the concepts being taught just hides the ball. Just tell me the math I have to know. It can’t always be buried in context, or you can’t see it. So there’s a balance. Science teachers and social-science teachers have jobs to do in reinforcing the math that kids are learning in the math classroom. But I think sometimes we ask the math teacher to do too much in this respect. “Come up with brilliant statistics examples.” Well, guess what? Statistics is a part of science. Statistical inference is something that happens all across the curriculum, but actually mathematicians don’t do it. So I do think we could be doing more across the curriculum in high school to make this come alive. A number of critics of Common Core have said that the standards were rushed into implementation too quickly, and perhaps there should have been more time to try them out on a state level before they went national. Do you think that’s a valid criticism? Would you now go back and change anything in how this was done? It would be a mistake to think that everything in the document is my own personal belief about what would be optimal. There were hundreds of people involved. But in terms of implementation, to me, the salient point is not about “too fast” or “too slow.” Different states have all approached implementation very differently, and I think we’re likely to see that some of those strategies were better than others. We’ve heard it said that the standards demand a deeper understanding of math than many math teachers now have. In your travels, have you found this to be true? And what can be done? In the community of people who have been trying to improve math education for decades, we hear over and over the inadequacy of the mathematical education that teachers receive before they set foot in the classroom. I think you have to start somewhere with this. And it’s clear to me that where you start is numbers and operations. I think our schools of education should zero in on this, and begin producing elementary-school teachers with a level of knowledge of early numbers and operations that’s comparable to teachers in other countries. The standards don’t by themselves solve this problem, of course; but at least we now have a blueprint for what teachers will teach, and therefore what they must know. A lot of countries have had that advantage for a long time. After investing so much of your time and energy, and believing as you do in the standards’ promise, how worried are you that they could be caught up in politics, and that possibly all this work could be for naught? I don’t spend a lot of time on the political aspects of the problem. I think the document stands or falls based on what’s written in it. Student Achievement Partners and myself have decided that the most important thing we can do is help teachers get going, and start teaching math and seeing the results – seeing what kids are capable of. Once a teacher has tasted that, it’s hard to turn back. Finally, how can parents help students transition to the Common Core? The first thing I would say is beware of misinformation – there is a lot of it out there. Parents should let their child’s teacher know if they have questions or concerns. And for their part, school leaders should reach out to parents to provide information about the school’s instructional program. We believe that curiosity is precious, and we indulge our kids’ curiosity. We let our kids see how much we ourselves enjoy learning. I have learned a lot about dinosaurs and dolphins from them! We make it clear how important school is. They each have their own dedicated work space. When it comes to schoolwork, we have household rules that make the priority clear. Sitting with them over some homework, we try to acclimate them to what educators call “productive struggle,” and we praise effort. We also believe in the value of practice. Finally, our kids read every day. Katherine Ellison covers the Common Core for EdSource. 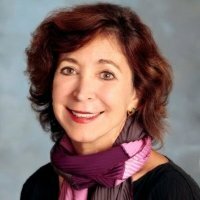 Linked below please read the best article to date on the problems of Common Core math by educator Cynthia Walker – an insightful, detailed, first- hand account of what’s really going on with CC math education. I believe that in California in year 2014-2015 there has been a decline in math as being taught to all children. I believe the schools have decided to let teachers have too much freedom in covering the common core standards and the quality of teaching the standards is not measured for the Smarter Balance test or CCAPP or whatever it is called is an experiment. I say, we (because we are all stakeholders) have experimented on the children in exploring how to teach them. Many schools got rid of benchmarks and benchmarks measure growth for math progress for students. No accountability will mean and has meant that by the roll of the dice a parent may get a good math learning school year for his/her child or a watered down one with weekly tests that are perhaps two or more grade levels behind the standards that are to be taught. This means grade inflation is in big. It also means that since there is no testing for many grades for science and no state testing for history that history books and science books are open less. Hey, why doesn’t the State of California have a mandated History or Social Studies Smarter Balance test too. Without it we dumb down our America. So what were you getting, or think you were getting, when the old “accountability” was in place? Since field testing for SBAC is the drill for 2014-15 what do you mean “a decline in math?” Decline from what? Testing isn’t complete, and when it is, you will have new “benchmarks,” that cannot be compared to the old. The real experiment of CA’s (and the US’s) children was when the testing/standards/accountability craze of the last decade or so was put in place. There was never a research base to support those changes. And the only real national test the US has, the NAEP, effectively flatlined after the pseudo-accountabilty was put in place. The “achievement gap,” that had been slowly closing, stalled in that process. Testing was also an experiment, but what we’re doing now seems little different, especially with the inherently more vague ‘local control’. Setting aside the near absurdity of trying to measure the impact of testing using test results, I don’t think its fair to characterize NAEP as flatlining unless you don’t bother to look at subgroups. It is, however, true that gaps have not changed much but in some cases they are not much different than they were even before the 90’s, so it may not actually be true that they were closing in a meaningful way, except when looked at in a limited timeline. Our subgroup definitions are probably not consistent or accurate enough to properly capture these changes over the timeframe we are attempting to do so either. Our demographics are changing in ways they haven’t before., especially in CA. Ironically, one thing that has ‘improved’ since the testing craze took effect is graduation rates (as dubiously meaningful as those numbers might be). As I have stated a number of times, the whole SBAC/CCSS reform efforts is at this point in time a blank canvas, at least in many important ways. The CCSS have the chance to free teachers, if some districts do not get their way, from the strictures of pacing guides and scripted curriculum. The current direction of “accountability” in CA, with the multiple measures based “new” API (if the political hurdles can be managed), moves us away from the “sanctions” based system that failed to move the needle in most educationally significant ways. Finally, people at SBE and CDE decided to stop banging their heads against the wall of the pseudo-accountability system narrowly focused on only one of a set of stakeholders. This does not account for the usual suspects in the public-school-criticism-industrial-complex though, as their funding streams depend on their being able to have some simplistic hammer in place to pound the schools, teachers, and their unions. All is certainly not settled. I think if you look at NAEP scores over time you will find that they were rising (cumulatively) about four points a per test for the decade prior to 2002 and the implementation of NCLB. After that, it slowed to about one point or less for each testing period. I’ll call it “flat-lining.” It could be argued the picture for CA is different, and for the demographic reasons you’ve cited that’s accurate. Also, nationally, there were economic trends that had an effect on results. One issue not mentioned in this article are the errors and/or ambiguities sporadically found in the math questions. As a retired teacher who also has a maths degree, I have been looking over the 6-7-8th grade sample math tests and have found at least one “iffy” problem in each test reviewed. I do hope that the material is re-evaluated prior to actually putting it in the hands of the school kids. Thank you for alluding to the benefits our interior lives can realize through math education, regardless of the specific benefits to a college and career path. As someone who was educated for an engineering field but has “strayed” into education, there is no doubt that my math-centered education has improved my skills and motivation: superior problem-solving abilities, a focus on precision, and a desire for accuracy are valuable skills for any work to be done. Jason Zimba seems to be the poster child for parent involvement in education. A family of basic means that believed in education made the most of what was publicly available. (Although maybe I am jumping to conclusions as he want to private schools for bachelors and masters.) So a son of a waitress and a cook became an astrophysicist. All without Common Core and NCLB. Is there a deeper lesson to learn? Not knowing more about Jason Zimba’s background, I don’t know how much parent involvement he is advocating. But as the parent of three boys who are typical in their desire for internet/video games, there are so many [highly financed and designed] distractions for young people today that hands-off parenting is far more difficult to do, especially when most other kids are unavailable due to being managed and entertained. Yes, we do turn things off, provide excellent books, refrain from over-scheduling, and enjoy being a family. With regards to parent involvement in public schools, however [and I could be overestimating it], it seems critical. With the polarization of incomes, we no longer have a more homogenous economic and social group to educate. The poor seem to be the bigger victims of our current low-quality-media-focused society. Maybe those of us volunteering in our public schools are wasting our time, but there does seem to be an equalizing effect [socially and sometimes academically] in our affluent California community.